Welcome to the Cottage at the Crossroads! My husband and I moved here four years ago. This is the house that my husband grew up in and was built by his grandfather after whom he is named. It is sitting on land that has been in his family since the 1700s. The house was empty at the same time that we were making some life-changing decisions. So we decided to move here, and that has been the best decision that we’ve ever made. This is our front porch which is used about 10 months out of the year, weather permitting. One of the first things we did when we moved here was to screen in the porch. You can read more about our porch HERE. Our home is small. It is under 1400 square feet, which is half the size of the house we moved from. So all of the furniture that you see is what we already had. If it didn’t have a place in the cottage, it was sold. Prior to moving in, we had the entire house painted, inside and out. And when we ripped out the old carpet, we discovered these wonderful, old pine floors which we had refinished. We also painted the fireplace, and we found this butterfly picture that Leo’s mother colored about 50 years ago. You can read about that HERE. 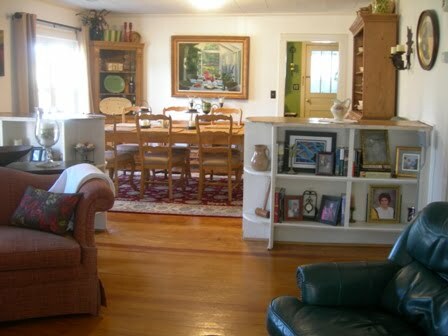 Our living and dining areas are one big room, which is unusual for such an old house. So when you walk into our home, you can see straight through from the front to the back. Here’s our kitchen. We painted the cabinets white, installed beadboard and new countertops, and put in a cork floor. The kitchen is fine, but when we have big, family gatherings, it seems mighty small! One day we’d like to enlarge and modernize it. If you’d like to read more details about our kitchen, click HERE. From the kitchen, there is a back porch where the washer/dryer is located. Those old, turquoise boards will find their way into the new kitchen one day. From the kitchen is also our office. This used to be Leo’s bedroom when he was growing up. 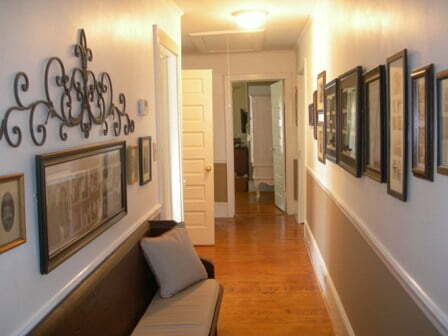 This is our hallway where we have a lot of family photos displayed. 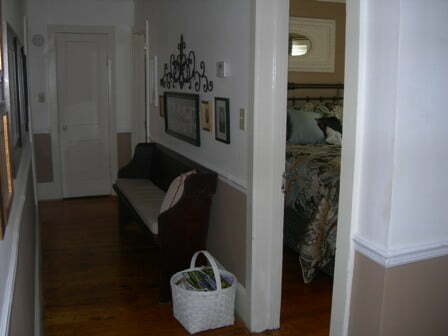 Halfway down the hallway is the guest bedroom. You can see more of that room HERE. 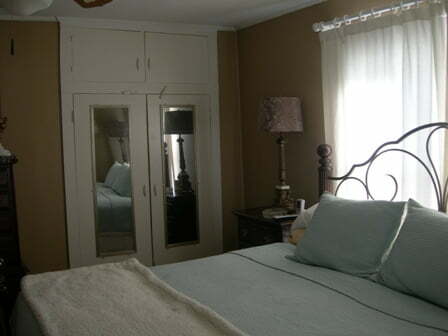 Next to the guest bedroom and our bedroom is our bathroom. Yep, there is only one of them, and that was the biggest adjustment that Leo and I had to make when we moved to the cottage! It’s a small bathroom, and we did remodel it before we moved in. 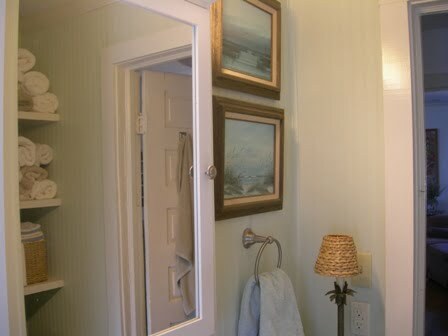 We added beadboard in here, too. Henry likes to nap on the shelves. There are shelves on both sides of the shower, and a little area to tuck hampers into. I use lots of baskets and jars for storage. Looks like Juicy has found a comfortable spot on our bed. This is the only closet in our entire house! But that’s ok. 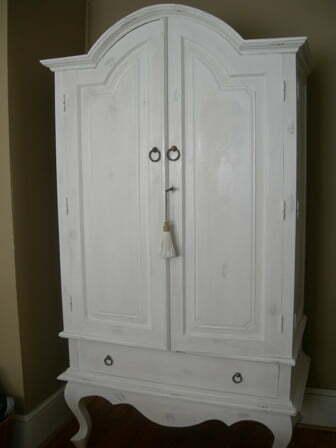 Most everything that we wear now can be folded and put into this armoire. I hope you’ve enjoyed the tour of our humble cottage. It’s a cozy haven for us, and please come back to visit again. 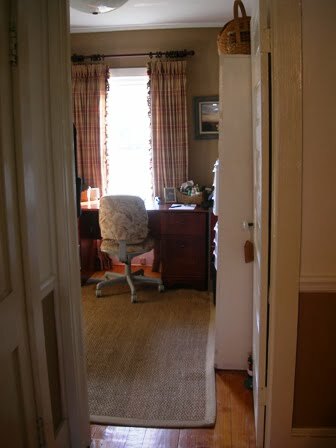 Oh Jane: there is nothing like an old house! How wonderful that the land has been in Leo’s family for so many years; what a wonderful legacy. We moved here, to NC, from a house in the Hudson Valley built in 1923. Oh, it had its quirks and problems alright…but what a well built house it was. One of the things I miss most is the radiator heat! Can’t stand this forced hot air. And one bathroom? Yes, we also had a lav, but only one full bathroom (for 25 years!) Looking forward to reading more. Your have a lovely and inviting home. I am a believer in less is more and truly have proven that to be true. Love the garden and the things you have done inside and out. ahead to live a wonderful life in your sweet cottage. I love your home and the way you have it decorated. I can see myself living there. Your home is lovely! Thank you for sharing it with your admirers. LOVE you website and radio station. Thank you..
Love it that Leo gets to live in his old homeplace. You guys have made it beautiful and comfortable! Also love hearing the Windham’s play music again. Have missed it so much. 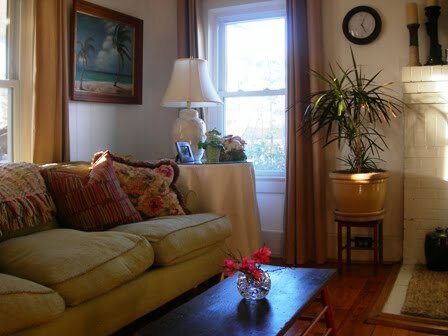 You have such a cozy and well-loved home. I love that it has been passed down through the generations and you can see how lovingly it has been revived. And, oh my, your gardens are just wonderful. I can’t wait to see more of the goings-on at the Crossroads. I’ve subscribed so I can follow your progress both inside and out. I think your home is Perfect. We moved a year ago from a 4 bedroom cape cod, to a small (800 sq. foot) 2 bedroom. I too had to sell a bunch of things. Kept the things that meant something to us. We love it, and we share it with two cats (ratties) Chase and Frankie. You have a lovely home…..very warm and inviting. Thank you for sharing. Love your little cottage. Reminds me a little of mine. When we came home from Nebraska we bought a little 1200 sq ft. home. We love it and have made many adjustments. 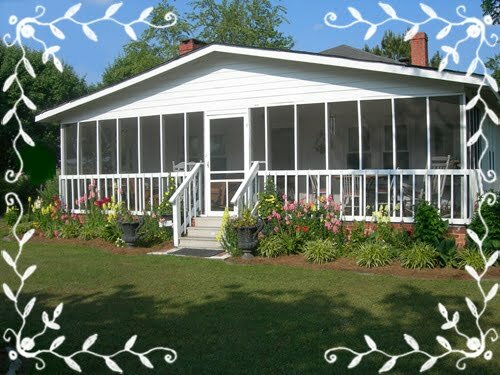 I think you have done wonders–especially like the screened in porch. Love your home! In a time when so many people want to live in the “mini mansions”, it’s great to see homes with so much personality. We, too, live in an old house…ours was built in the 1920’s…and it’s small compared to so many today…..1850 sq. feet! You have made this home your own but you’ve stayed true to the character. Your changes are amazing…Thanks for sharing from Louisiana! I loved your lovely family home, especially the front porch, what I’d give to have one. Your blog site is so warm and inviting, I really enjoyed all your printables, thank you, it gives me lots of inspiration, cause I love the fall here in the south. I will be checking back often. God Bless you guys!!! Hugs from Texas!!! I Love your house.! My husband & I also are in the process of renovating the house his grandparents built in 1928. It’s an Arts & Crafts style on the Mississippi gulf coast. His father grew up there. 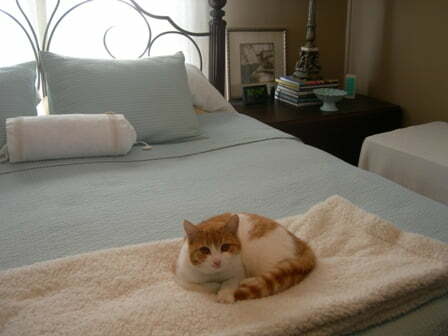 Ours also has just two bed rooms & one bath. We know this will be a long process but we’re enjoying it as a vacation spot for now and maybe retirement some day. Thanks for the inspiration! Your home is so sweet and cozy! I could curl up and read a book all day in your home! I love this!! How neat to be able to reside in a place that has such wonderful memories & rich history! So glad I found you …I’m your newest follower. Your cottage is lovely. It is amazing the house has remained in your husbands family all these years. We downsized also, greatly. It has been an adjustment to say the least, but it is all good now. Do you like your cork floors? I have never used cork flooring and I wonder how you like them, also are there pictures of them that I could see? Your garden looks so nice, it must be wonderful to go out and pick something to eat. Growing up we always had a very large garden for our own use. My father grew tobacco and insisted we all know how to grow our own food – I think it is time I started doing that again. I always love seeing your sweet home! I love it all, but the porch is my favorite! So pretty, and comforting! 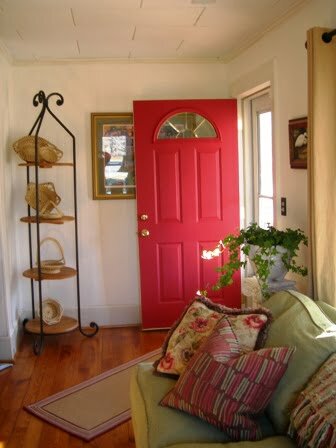 Love your home and the colours you’ve chosen Jane. 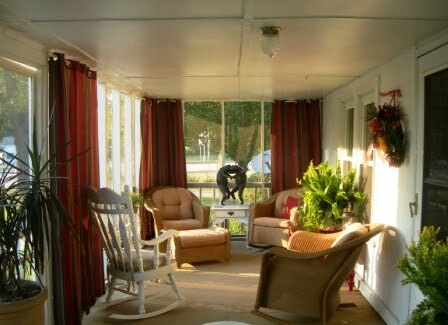 Your porch is so cozy and inviting. Thank you for sharing it with us today! Your home is so lovely and welcoming – I love it! Thanks for joining the Summer Tour of Homes! I’m here from Southern Hospitality. Loved your cottage tour! Your gardens are wonderful too! Lovely home! Thanks for sharing. Love that you downsized into a family home. My home is just under 1400 sq feet, I enjoy tours of homes the same size. 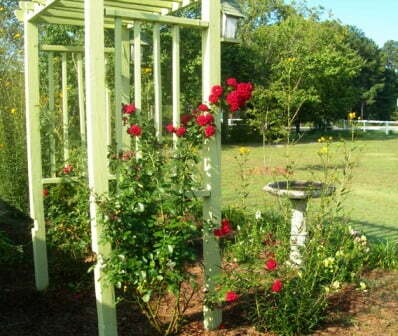 Your lives much bigger, love your porches and the kitchen is charming….great home, thanks for the tour. Love it! So wonderful that you get to preserve the family home. We just bought a small farmhouse – not so old:it was built in 1987 – and I’m repainting and decorating. Can’t wait to move there full-time! I really enjoyed seeing what you’ve done at yours. Will be visiting often to see what you’re doing! I really enjoyed a tour of your home. It is lovely! We live in a 1200 sq ft house and one bathrm. So last yr. our goal was a complete remodel of the bathrm. It is so lovely now, does not look like a 49 yr. old bathrm. The contracter put a small curved arch wall going into the bathtub area. When you enter the bath you do not see the ceiling can light, very smart choice. 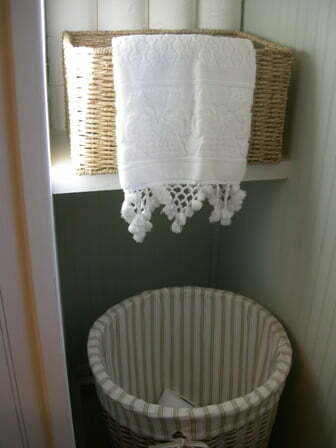 I painted it a soft gold color,white trim, and biscuit color for the tub, toliet and sink. I had a furniture style vanity and granite top put in. the floor is linoleum tiles made from ground marble and other materials. You lay it like tile and use grout. I used imatation marble for the tub surround. 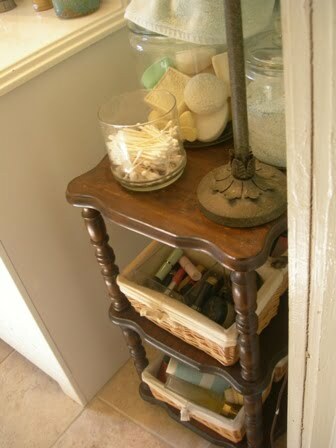 Put a glass shelve above the toliet and a scone. Same style lighting above the mirror but a 3 light fixture in brushed nickle and has a curved arch to the top where the lights attach and hang down. I really like your kitchen , we need to do our kitchen and floors. 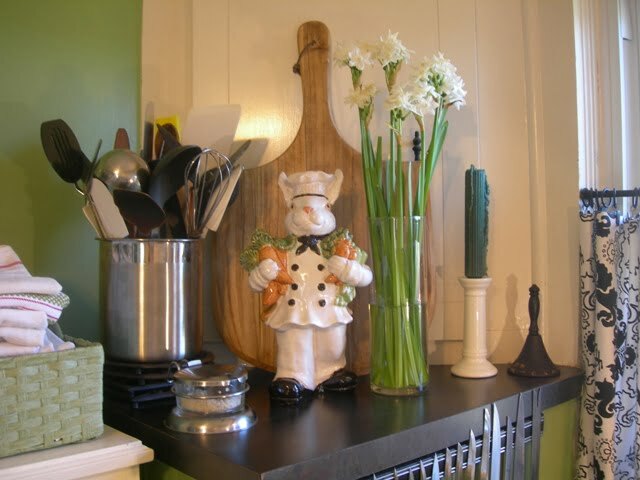 I show my husband different web blogs I like to give us ideas for our kitchen. Thanks for all the pictures of your home, lovely! What a beautiful home. I love the pops of red and then the green back splash in the kitchen. It is just finished all so nicely and completely. That I envy. We are always working on projects around here. Beautiful home…I want your porch! Just stopping by from the Linky Party Hop. I hope you will visit http://www.laughterandgrace.com and follow back. Love your cottage. I hope one day to live in a smaller older home, you have it decorated so pretty and it looks like a place you would instantely feel at home. Thanks for sharing. Your house looks a lot bigger than the square footage you stated. 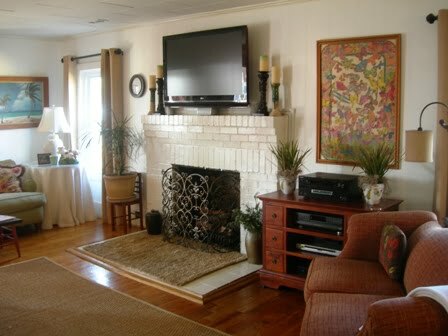 It is very pretty and I will have to show my husband how a big tv looks on top of the fireplace. I want to move our tv to gain more space in our living room and he always wants to see photos of how it will look. Wish me luck! Such a charming house – I love your gardens too! Lucky to live in the house your hubs grandfather built! My hubs grandfather built the two houses that his mom and aunt still live in. Thanks for sharing. Congrats and you do have a lovely home! I’m a friend on LINKY too! Drop by for a visit sometime! So much love went into making this house your own. I can see why you are so happy there. As always, I am amazed at your gardens. Oh…I followed you on the linky thingy! Yes, I saw the blog post and loved it! !…Congrats on your feature..so well deserved! So beautiful, Jane! Warm, inviting and cozy! Love it! I’m a new linky follower! Now this is why I read blogs. Your house tour was like the intro to a good novel. The house that is on family-connected land, built by a grandfather – the lack of bathrooms and closets is just an inconvenience – you have what you need and it is beautiful! It’s really beautiful, Jane. My husband and I will be moving to his family home in Lake City in the next couple of years, and when I see your house, I wish we were there now! I’m a new follower to your blog. I love the story of your home and all the neat things you have done there. I read back through some past posts and I will say you are a busy couple. Your home is so welcoming and I love the recipes. I’ll be back! 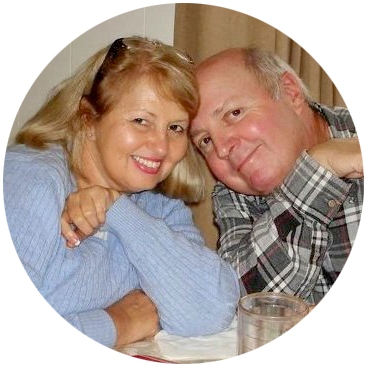 Jane, thank you for visiting my blog and becoming a follower. Your cottage is beautiful. You have done a great job. I especially love your kitchen and the turquoise ceiling in the utility room. We live in “plantation country,” not far from the Mississippi River. There are quite a few old homes in our area and my husband had worked on several that I plan to post about on my blog. 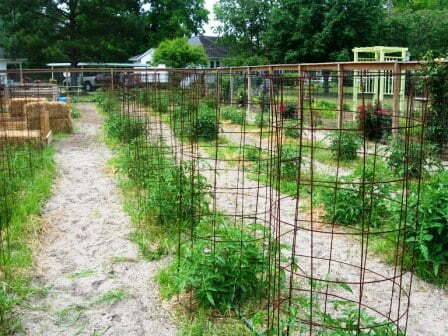 Oh, and your flower and vegetable gardens are so nice and tidy, too! It is lovely, Jane! Very cozy. How wonderful it has such a history! PS-I am following you on the new Linky- thang [giggle] and FB. Leo and Jane, Your home is so sweet and fresh. I love it. What a blessing to be so close to your family roots. Not very many people have that today. Congratulations on being featured by Debbie on her blog! Wonderful home tour! I love the kitchen and the hall with all the family pics. When we moved last year I went from a 1400 square foot house to a 2700 sf house, but how funny we really only live in the downstairs which is 1400 sf! I always love seeing your vegetable gardens and your home projects. Thanks for sharing your home! Jane and Leo, Lovely home tour. Not sure how I have missed so many areas of your home over the year, but I have. 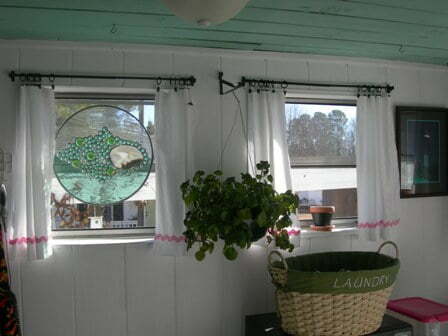 I never realized you had curtains on the porch and simply love the look and idea. The kitchen is just charming and so cottage feeling. There are so many wonderful qualities about your home. It made me smile seeing them all. Thanks for opening up your home to us. Jane your home is lovely! It is so inviting! There are storage challenges in an older home, but the charm makes it all worthwhile! You have overcome these issues in a stylish way! I don’t blame you, I would have pulled up that carpet too!! We have the same type of floors in our home and I love them! Love the pictures of Henry and Juicy! Guess that these are the real owners of this home!! LOL! Your home is lovely. It feels cozy, but doesn’t look small. Love the porch. How fun to be living in Leo’s family’s home. You have a beautiful home. I love how it was in your husband’s family all these years. One bathroom! That would take getting used to again! Enjoy your weekend! I love this home! It’s cozy and bright, too! 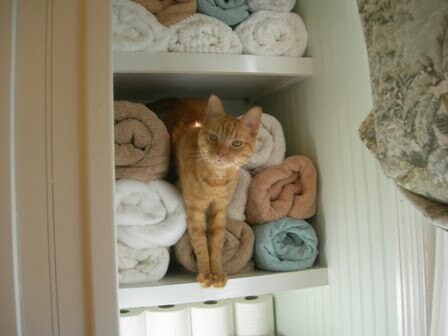 You’re very resourceful given the small space. 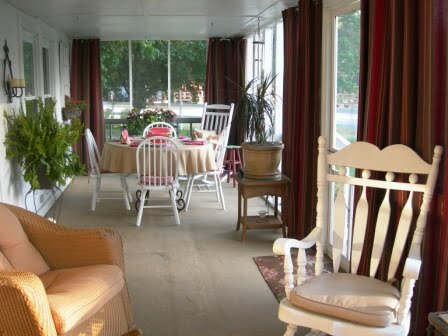 I would love to sit out on the screened in porch and drink a glass of sweet tea! I really enjoyed your home tour! It has been a wonderful day having you over Jane. Thanks again for sharing your beautiful home and story with us. Very nice Jane. Cozy! My house is only about 1800 sq ft. Your home is so charming! 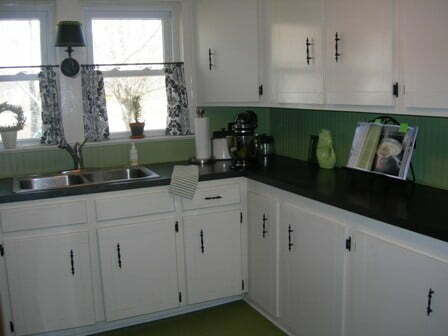 Love the kitchen’s green beadboard. THe house doesn’t seem small at all, just very lovely and cared for, love your landscaping too! 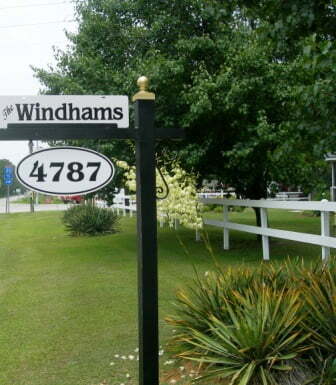 Thank you for not inserting incorrect punctuation in the Windhams sign out front! Also, one day I would love to know more about how you probably eliminated many of your belongings. I struggle with that…holding on to too much stuff…and I know others do, too. You have a beautiful home! I love that it was in the family all these years. It looks larger than its square footage claims.